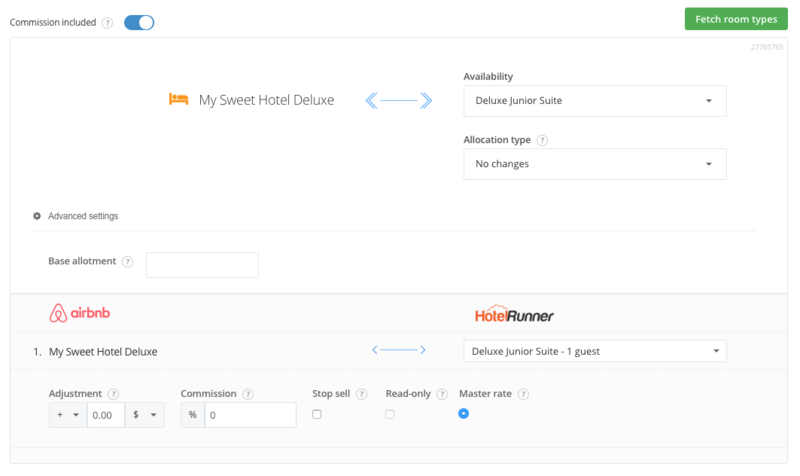 The price and availability details of all rooms must be identified in the Calendarsection of HotelRunner extranet before setting up this connection. After connecting, HotelRunner will upload your full inventory on Airbnb. 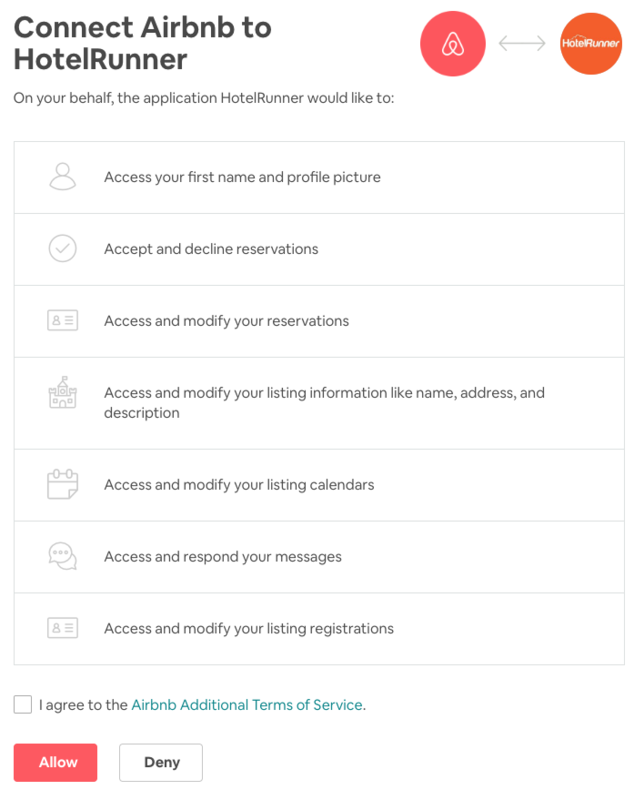 When your Airbnb XML connection is set up, you will be notified by HotelRunner with an e-mail showing the reservations you receive through Airbnb. 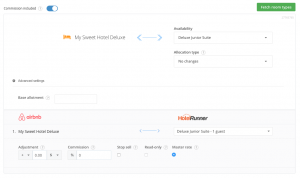 You can also view your reservations from the Reservations field on the upper menu of HotelRunner panel. 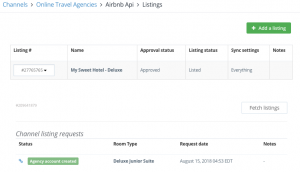 HotelRunner is able to create and manage Airbnb listings for your property directly from your HotelRunner admin page. 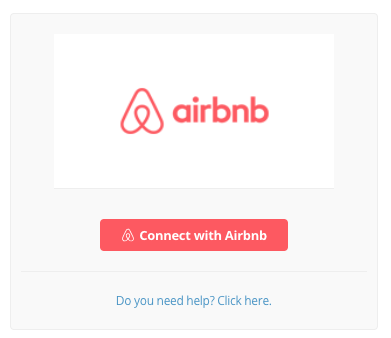 Please open your HotelRunner account and follow Channels / Online Travel Agencies / Airbnb on your admin page and click on Connect with Airbnb button. 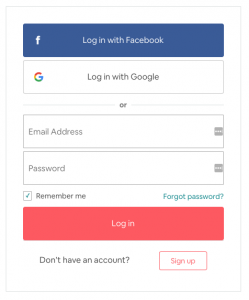 You will be redirected to your Airbnb account to give authorization to HotelRunner. 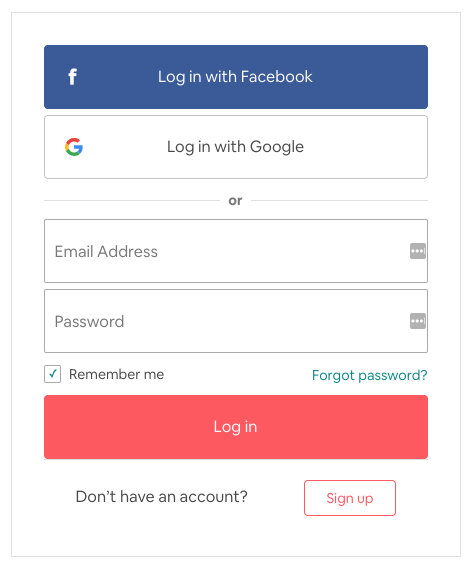 Login you Airbnb account with your Airbnb login credentials. Review the permissions and click Allow button. 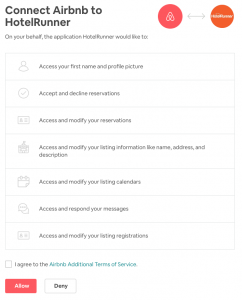 After giving permission, HotelRunner fetches your Airbnb listings automatically. First, please select the relevant room type from the Availability drop-down menu. Second, please select the relevant room type from the rate types drop-down menu. Once you complete your mapping for the whole room and rate types, please click the “Complete mapping” button. 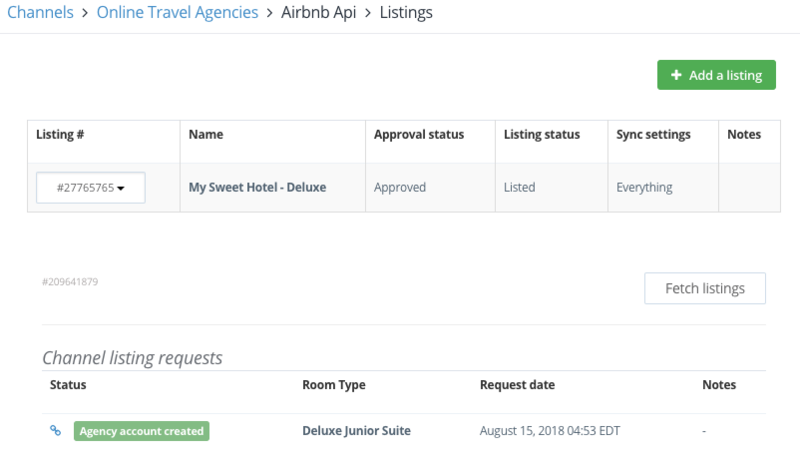 After the Airbnb connection is completed, all the inventory (availability, price, and restrictions) information on your HotelRunner calendar will be uploaded to your Airbnb account. To check your listing on Airbnb, please follow Channels / Online Travel Agencies / Airbnb / Listings on your HotelRunner admin page. Everything: All listing data is synced via HotelRunner. Limited synced: Only Calendar & reservations are synced via HotelRunner. Synchronize content: Only content is synced via HotelRunner. Unlink connection: Disconnects the connection of your listing with HotelRunner. Delete: Delete the listing of your property on Airbnb.